Always is the one Steven Spielberg film that no one ever talks about. People like to rag on 1941 as Spielberg’s one true bomb or discuss Hook’s shortcomings or Empire of the Sun’s good qualities. But no one seems to care about Always. I watched this movie as a kid and I thought it was painfully boring. There wasn’t much to hold my interest. I rented it again last week to show to my wife and see if it was really as bad as I remembered. I’m happy to report that it is not what I expected. Sure, it’s definitely imperfect with a lot of jokes that fail to hit their target and an overly long opening sequence. But overall the movie works surprisingly well. Get ready to explore what worked and what didn’t in the 1989 Spielberg film, Always. Always is a remake of the World War II film A Guy Named Joe, which came out in 1943. The remake tells the story of a daredevil firefighter pilot named Pete who takes one too many risks and winds up getting killed in a spectacular explosion, leaving his fiancé Dorinda and best friend Al to mourn. But Pete’s story doesn’t end there. He becomes a guardian angel for an up-and-coming pilot named Ted, and he has to help and guide him. Unfortunately, Ted falls in love with Pete’s old flame. So Pete has the dilemma of having to let go of her so she can move on with her life and find happiness without him. 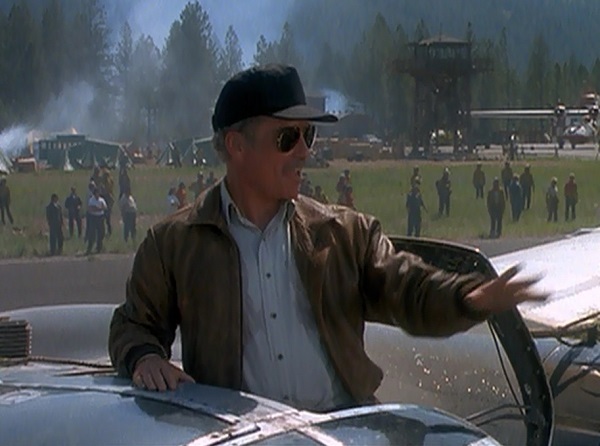 The Actors: Richard Dreyfuss plays Pete, and this was his third time working with Steven Spielberg. Always is nowhere near as amazing as Jaws or Close Encounters of the Third Kind, which probably contributes a great deal to its forgotten status. The real fun of the film is seeing the actors who did the voices of Elastigirl (Holly Hunter) in The Incredibles and Sully (John Goodman) in Monsters, Inc. talk and have fun together. Plus, we enjoy brief appearances by the old man from Home Alone and Audrey Hepburn as a regal old angel. 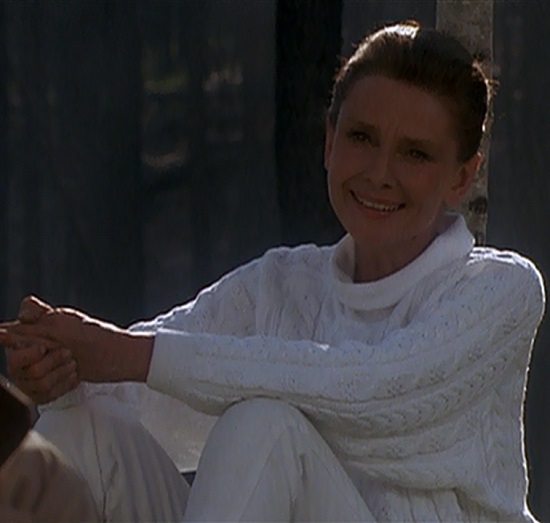 In fact, this was Hepburn’s last movie before her death in 1993. The Firefighting Sequences: The way the planes have to skim the tops of burning trees to successfully drop their payloads of fire retardant creates a lot of suspense. When Pete’s plane runs out of fuel on the way to the airfield, I held my breath, wondering how he would make it out of that hot spot. 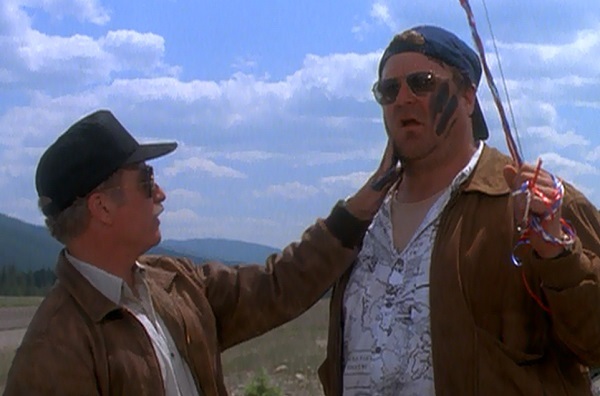 Later, he risks his life to save his friend Al during a daring aerial maneuver. And in the last sequence where his former girlfriend Dorinda goes solo on a seemingly suicidal mission, I am totally invested in seeing her make it out safely. The Romance: I don’t care much for the romance between Pete and Dorinda. Their scenes together are mostly flat and uninspired. But when Dorinda meets Ted (the new pilot who Pete plays the guardian angel for), things get cooking. Their awkwardness around each other and clumsy attempts to please each other have me smiling and enjoying every moment. They just have an easy chemistry that Pete lacks. There’s no question who Dorinda belongs with. The Jokes: Always is full of jokes, but few of them work. The most memorably bad one involves Pete getting his friend Al’s face dirty with oil while pretending to help him clean his face. He does it again later and the results are just as vapid. The Dance Sequence: This movie desperately wants the audience to like its characters. It pulls out all the stops in trying to get us invested in them with a long, drawn-out dance sequence at the start. But the dialogue is clunky and there are a lot of tired clichés being tossed around. This whole scene feels like the opposite of the wedding at the start of The Deer Hunter. While that scene keeps going and going, as well, we learn more about the characters and are invited into their world. Always just keeps shoving facts about the characters into our faces and expecting us to care about them. In the end, we do love the characters, so this opening sequence can be forgiven. The Music: That John Williams composed the music for this film is a given because he always works with Spielberg. But what’s disappointing is the lack of a trademark John Williams grand theme. We get hints now and then that remind us that he’s doing the music, but we never get anything close to his masterful scores. The music in Always feels like it was an afterthought. I guess it’s appropriate for one of Spielberg’s lesser films to have one of Williams’ weakest scores. Always is not a bad film. It has some flaws that keep it from being great, but I found myself charmed by it in the end. When it finally loosens up and lets the characters do their thing without the unnecessary attempts at comedy, it becomes a moving drama. It came out the same year as Indiana Jones and the Last Crusade and it did decent business at the box office, raking in nearly $44 million. Critics gave it mediocre reviews, and it was quickly overshadowed by Spielberg’s huge successes in the early ‘90s. There’s a lot to love about Always. I recommend giving it a watch. If you can make it through the schmaltzy beginning, you’re in for a nice treat. This entry was posted in Forgotten Film Gems and tagged 1980s, comedy, drama, film score, films, funny, ghost, humor, john williams, movie remakes, movie review, movies, music, steven spielberg. Bookmark the permalink. Very interesting. I’ve never seen 1941 the whole way through. Maybe I’ll have to give it a whirl now. No Steven Spielberg film can be completely devoid of good parts, especially with Robert Zemeckis and Bob Gale (of Back to the Future fame) writing the screenplay.